Bluegrass Pundit: Fail: GQ criticizes Paul Ryan for being a "pot virgin"
Fail: GQ criticizes Paul Ryan for being a "pot virgin"
Before Bill Clinton smoked pot, but didn't inhale, admitting smoking pot would have likely ended a political career. In the era of Barack Obama's Choom Gang, Paul Ryan is being criticized for not having smoked pot. The implied message to young people is Ryan isn't as cool as Obama. Will GQ next criticize Ryan for having never ate a dog either? Paul Ryan, "the first Gen-X candidate," was 19 when the Berlin Wall came down, draft age during the first Gulf War, 21 when Nevermind dropped. All of which makes him a contemporary of many of us who work on and read GQ. Which got us wondering, what kind of a dude is Paul Ryan? Would we want to go to Coachella with this fella? More precisely: has he ever been stoned to the bejeezus belt? The question of whether or not Ryan has ever smoked pot is not entirely out of left-field. Well over half of Americans between ages 18 and 50 say they've smoked before, and American presidential candidates as far back as Dukakis have had to wrestle with how to handle inquiries about past drug use. We know that Bush the Latter was "young and irresponsible" when he was young and irresponsible. Bill Clinton apparently "didn't inhale" anything but Big Macs and g-strings. 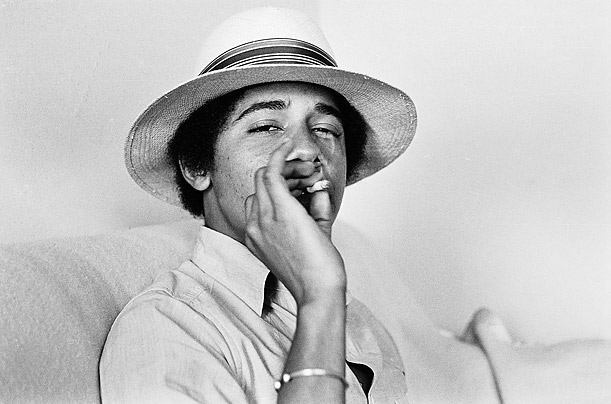 Barack Obama, back when he was Barry, was a pot-mooching babe-hound who never met a doobie he didn't bro up to. And despite that rep, Obama won the last presidential election. So we asked (and asked) the Romney-Ryan campaign for an answer to this famous, legitimate, and increasingly innocuous question. And we received a lot of bouncing around, and finally no answer at all. Apparently, they've decided they have nothing to gain from taking a position on this.